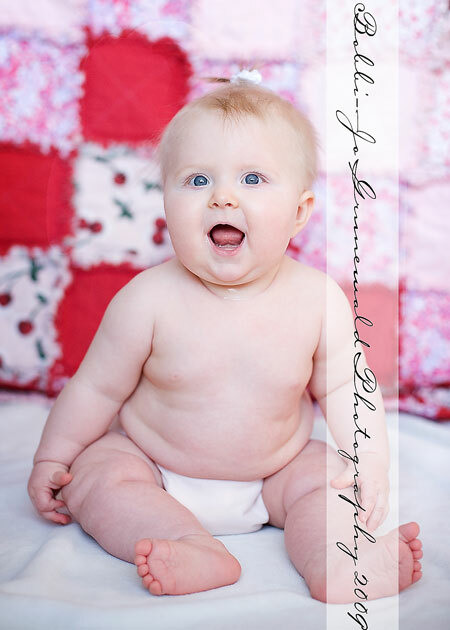 Chubby Times Ten! – It Works For Bobbi! 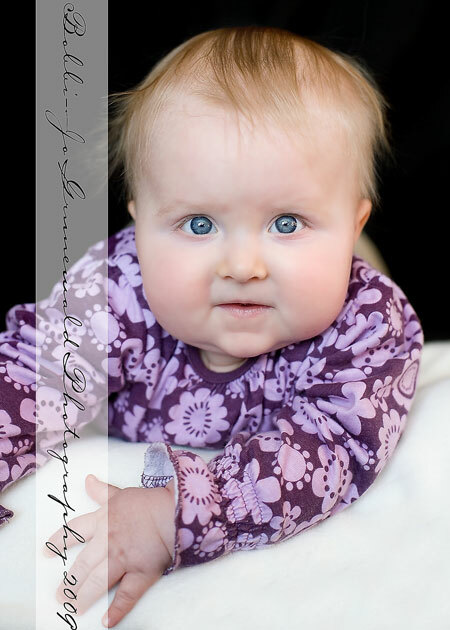 Published on February 27, 2009 August 9, 2016 by Bobbi-Jo G.
The day after my niece’s wedding, I got to photograph my other niece’s baby, A, who is – believe it or not – 5 months old! Yes, she is a big, happy, ball of baby. LOL! Such a cutie patootie! Phew! Now I can leave photo editing alone for a while and concentrate on cleaning the house that has gone to pot this week. I’m not sad, though. What else is there to do when it’s -45 degrees outside?? We all need a break from house cleaning once in a while. 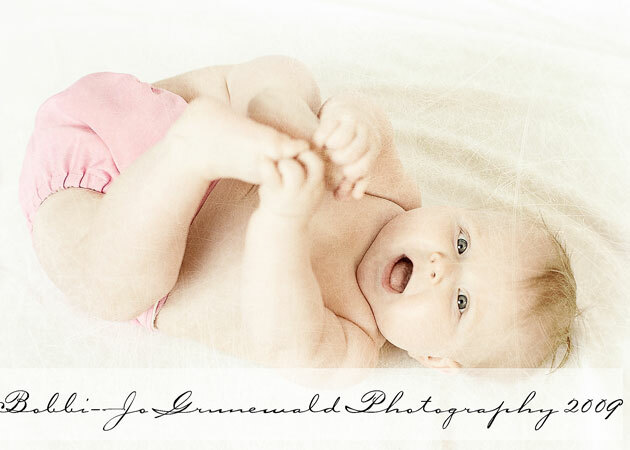 : DThese shots are adorable!!! LOVE these! Especially the one with mom where baby’s cheeks are all smushy! That second picture just makes me want to pick her up and give her a huge squeeze! HOLY MOLY I love those rolls! My babes were all small and long– rolls didn’t happen to them, just to me! Rotten. But very very good photography, BobbiJo!